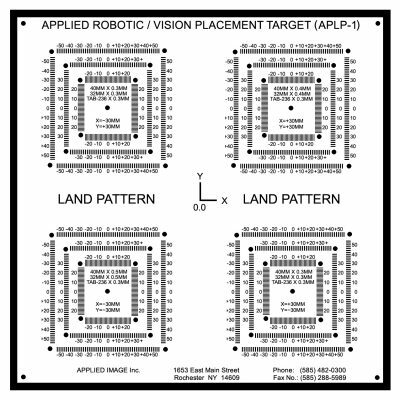 APPLIED IMAGE, in conjunction with Hewlett Packard Corp., has developed a unique, and extremely accurate, pick & place target set designed to check for accuracy and repeatability of your robotic system quickly and easily. The target set consists of a receiver grid and the parts to be picked. The component part is picked by the robotic system and placed onto the land pattern at which point Robotic/Vision position placement can be easily measured using the integrated scales which are built into the target land pattern design. The ACCUplace Pick & Place Calibration System target addresses the important issues of the robotic “pick and place” testing in an inexpensive mode. The test set comes complete with full instructions. The Land Pattern and all of the Test Components can be calibrated and certified to NIST traceable standards. 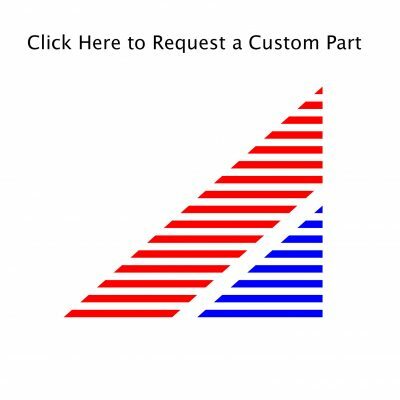 In addition, APPLIED IMAGE offers Anti-RefIective coatings (AR) on all components. The patterns are imaged with Chrome on Glass but can also be customized for two sided systems or on reflective materials where reflection images are a necessity (instead of transmission).